The needlepoint design measures 11" x 8". This Charley Harper handpainted needlepoint is sold canvas-only or as a kit. We can kit this Charley Harper handpainted needlepoint design for you, using cotton, silk or wool threads. We use Planet Earth Fiber luxury wool and silk thread and DMC embroidery floss if cotton is selected. Shipping is FREE for orders of $ 100 or more. 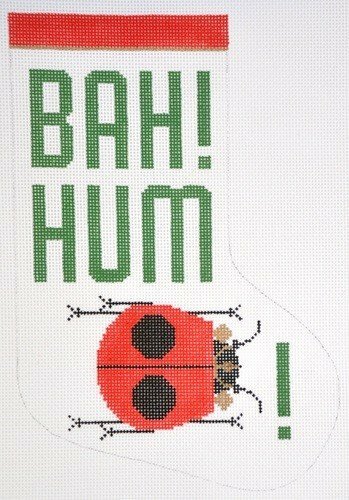 This Bah HUmbug handpainted Charley Harper needlepoint canvas usually ships within 1 week.